Many people approach tax season with some level of trepidation. And for good reason - taxes are complicated! If you're not a tax expert, it can be daunting to dig into the minute details of tax law. Stumbling through all the minor details can make you worried you’ve missed something. 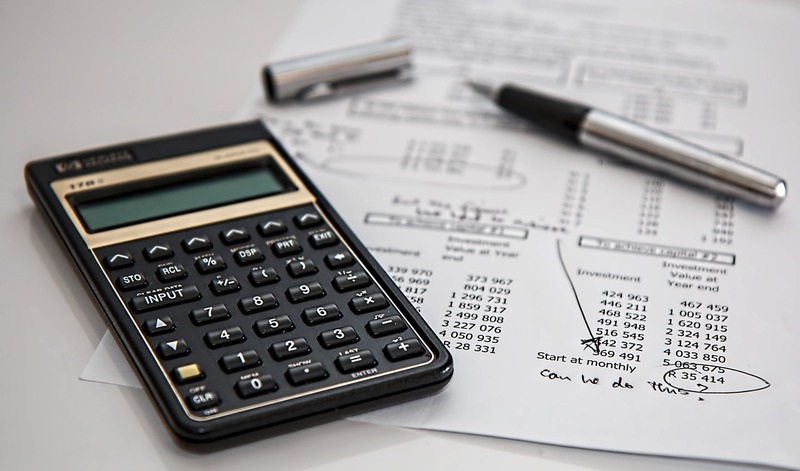 By familiarizing yourself with some landlord tax basics, however, you can decrease your anxiety and feel more prepared at tax time. Here are some key things you’ll want to know. The law is very favorable to landlords, and there are lots of deductions you can take. Most items and services related to your business that are reasonable and necessary are deductible. Deductions may include loan and business card interest, property depreciation, insurance, fees and taxes, professional services, utilities, travel costs, equipment and supplies, marketing costs, home office costs, tax preparation costs, and the like. For more detailed information on landlord deductions, follow this link to our more in-depth article on this topic. Be sure to keep detailed records. Documenting all your income and expenses, especially the expenses you plan to deduct, is important evidence that will support the tax information you submit to the Internal Revenue Service. Save proof of money exchanges and include as many details as possible, like date, amount paid or received, person who paid or person who received the money, nature of transaction, and anything else you feel is important. If you don’t have actual documentation, you can use credible evidence to back most expense claims, except for some travel claims, meals over $75, entertainment, and certain equipment. Chances are it’ll be easiest to keep track of your income and expenses electronically. Using a service like TenantCloud’s income and expense tracker helps you automatically keep a consistent manner of accounting in near real time. By tracking and keeping everything in a central location, it’ll make this money exchange tracking process much easier for you. You will also want to properly store various business documents. If you do this locally on your computer, consider keeping backup copies in a cloud-based service, like TenantCloud, where you can access documents without being limited by your proximity to local copies. Uploading documents mentioned above and legal documents, such as deeds, leases, inspections, permits, business records, insurance policies, past taxes, and the like, will also help you in case of emergency; if anything happens to your local copies, you can rest assured that you haven’t permanently lost your records. To file your taxes, you’ll need to understand which tax forms apply to your situation. There may be a few different tax forms you’ll need to fill out, depending on your situation, but the most common and the one you’ll likely use is the Schedule E.
As a landlord, you’ll file a Schedule E. The Schedule E is where you’ll list your income and expenses. Expenses you’ll list on this form include advertising, auto and travel, cleaning and maintenance, commissions, insurance, legal and other professional fees, management fees, mortgage interest paid to banks, other interest, repairs, supplies, taxes, utilities, and depreciation expenses. How much of this schedule you’ll need to fill out depends on ownership. If you own your rental property as an individual, you’ll file your landlord taxes entirely on Schedule E. If you own your rental property through a business entity, then the business entity will submit a tax form, and you’ll fill out a partial Schedule E. If for any reason you aren’t sure, check the owner names on your deed to see if the owner is you or your business entity. There are other more complicated arrangements to consider as well. If you co-own a property with another person (other than your spouse) or several other people, you’ll file taxes on a Schedule E only on your portion of ownership, while your owner or co-owners will fill out their portions on their Schedule Es. When you co-own a property with your spouse and you file jointly, however, no matter how the property ownership is divided, you will file only one Schedule E.
Generally business entities have different forms to fill out, but there are a couple exceptions to this: Limited liability corporations (LLCs) with one member are treated as sole proprietorships for tax purposes and only need a Schedule E. A two-member LLC owned by spouses living in community property state, like California, Texas, Arizona, electing to be a disregarded entity also uses a Schedule E.
Passive activity laws are important to understand at least on a basic level so you aren’t caught off guard by them at tax time. Essentially these laws dictate that you can’t deduct losses from passive activities against income from active activities. So if you lose money on your rentals this year, you probably can’t deduct the losses against, say, income from your full-time job, which is probably considered an “active” activity. You’ll have to wait until your passive activities bring in enough money to offset passive losses to receive the full benefit of your deductions. This process can span several years before you receive deductions on your passive losses. For more detailed information on this, read our blog post on this topic. At the end of the day, you may want to just hire a tax professional until you understand more about landlord tax law. Taxes can be complicated, and a tax professional will make sure you’re filing correctly; will help you understand the nuances of your particular local, state, and federal law situation; and will help you gain the most benefit while filing. Eventually, once you feel comfortable enough with landlord tax law, you may feel confident enough to do your taxes on your own, but until then, a good tax advice can go a long way. What other tips do you have for landlords at tax time? Leave a comment below. We’d love to hear your thoughts or pieces of advice on this topic.